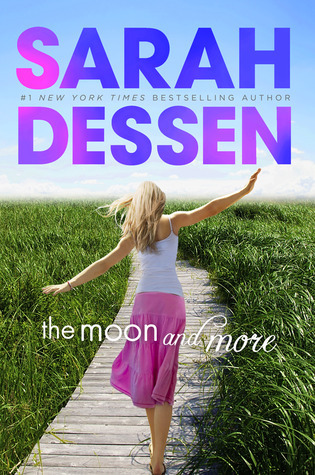 In Dessen’s newest addition to her long list of teen fictions, The Moon and More, the main character Emaline is in the waiting stage between high school and college. She struggles with all the things we all did, like whether or not to stay with her long-term boyfriend and leaving her family behind. She also has the added issue of an absentee biological father coming back into the picture. The Moon and More is the story of Emaline's summer and how she gets over her issues with her father and starts transitioning into an adult. I am usually a huge fan of Dessen’s stories even though I have outgrown the target audience. They always have some parental issue and an epic love story. In The Moon and More, I thought the parental problems were relatable and good, but I did not at all like the love interest Theo. He annoyed me and I knew that he was a self-obsessed jerk from the very beginning. She tried to paint him as having nice moments, but she failed to make me root for their relationship at any point in the story. I liked her original boyfriend much better and I wish Sarah would have focused more on their relationship. I think that the fact that Emaline has a father trying to make up for not being there for her as a child resonates with a lot of people in this day and age. It was nice to see how she dealt with her anger over it and eventually came to terms with the way things are instead of hoping for them to be something different. Overall, I did like The Moon and More, but if I had never read a Dessen story before I probably would not have been so forgiving with the horrible love story.